The first time you hear talk about “quality” of a breed puppy , it comes from smiling or horrify. It depends on the sensitivity of each of us. It’s an expression that makes think a puppy like an object. It’s not pleasant. The concept of “puppy quality” exists in facts. You find this expression in the documents of the Animal Health Foundation and in many magazines of dog Culture. The quality of a puppy is not an advertisement, but a clear and definite concept referred to the parents of the puppies and to those who breed them. 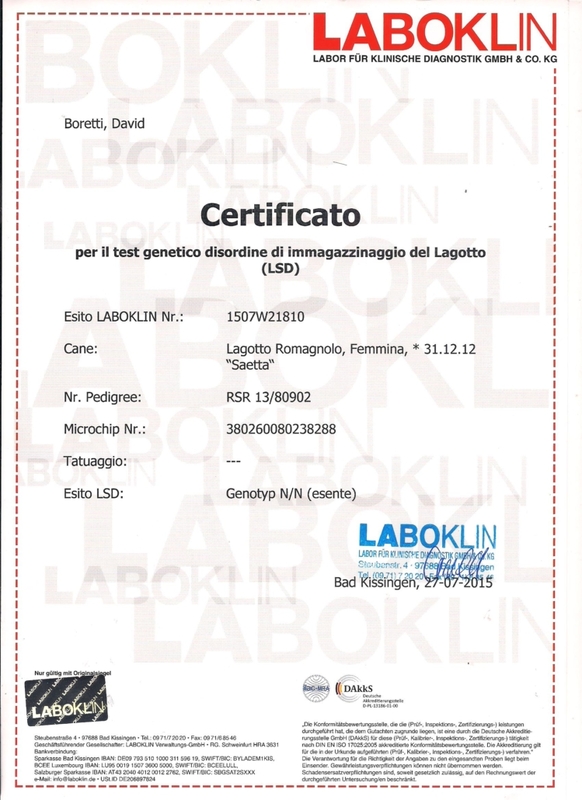 Official Radiographs for dyslasias and genetic tests, title in show and working prove, the analysis of the pedigree and the evaluation of the offspring, i.e. the selection, are as important as the socialization of the puppies, the diet and the character attitudes. 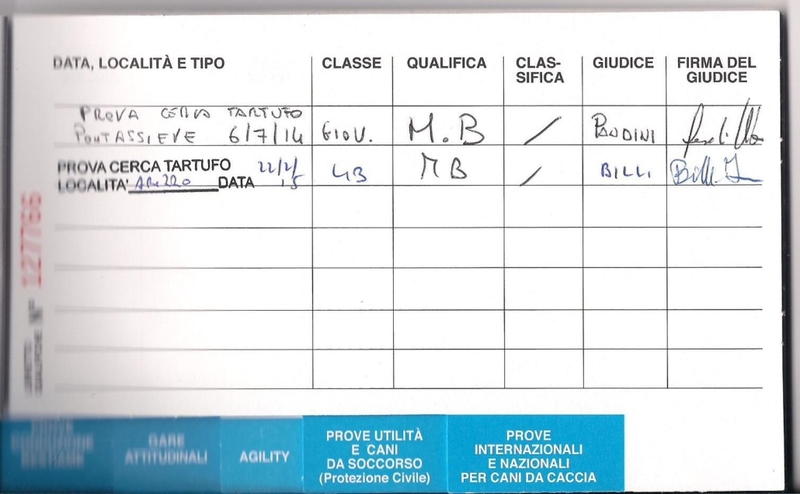 Certifications attesting and demonstrating the search for the improvement of the breed in terms of health, morphology and character. The poor dog culture has allowed those who want to make a profit to accept as true, false concepts. Just like what a puppy with pedigree already has the highest requirements. Comfortable No?! The pedigree is a document attesting to the genealogy of the puppy. 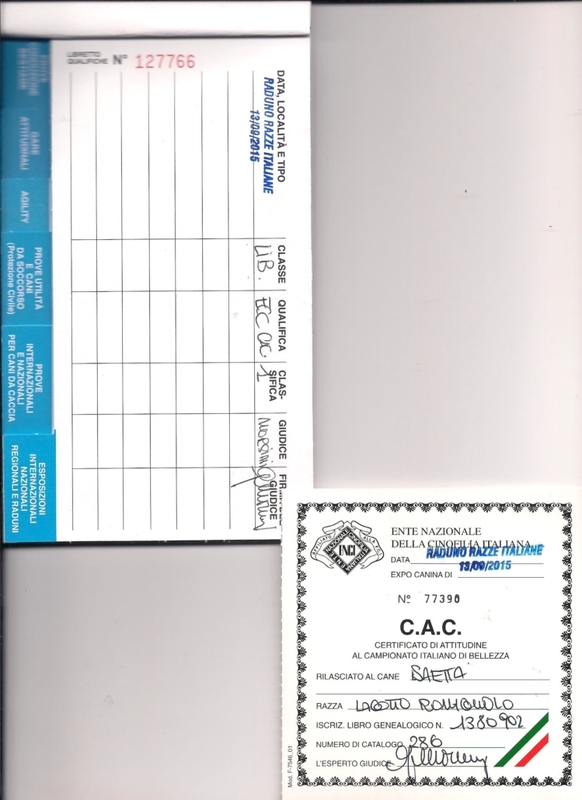 It reports the parents, grandparents, great-grandparents and trisgrandparents. The pedigree also shows some information on the health and morphology of the ancestors. 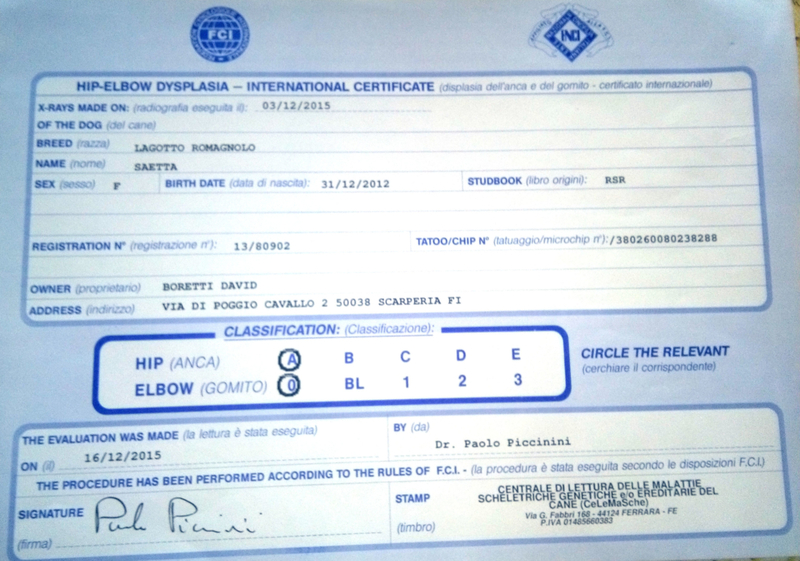 That is, the results of X-ray examinations for dysplasia of the hips and elbows, if its are been executed. The pedigree provides information on the morphology and character attitudes of the ancestors. That is if they have distinguished themselves in beauty show, in work proof or as reproducers, by obtaining titles. A pedigree can be exceptional. But it can also not say anything or anything good. Claiming that a puppy with pedigree has automatically the requirements to be a reproducer is a huge nonsense. The pedigree is released to all the puppies children of parents with pedigree. For example, even the puppy of two biting Lagotto Romagnolo would have his pedigree. Such lagottos if presented to a judge of the breed would lose their pedigree. Because their litters could have a character from their parents. The pedigree is simply the minimum we can do for a puppy breed. 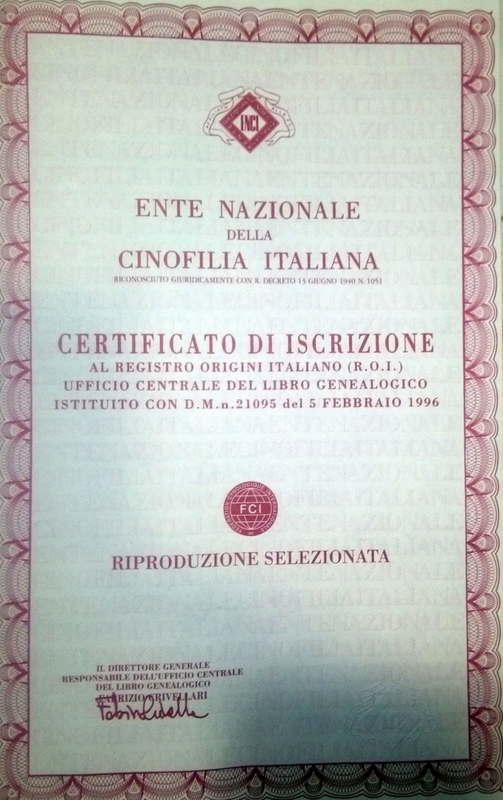 It is prohibited by Italian law to sell purebred puppies without pedigree (D. Lgs 529/92 art. 5 comma1). 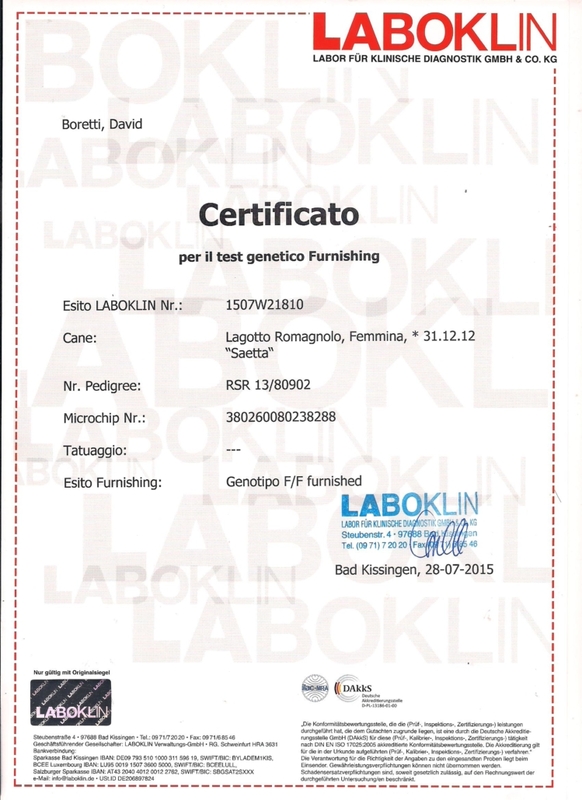 We can not ask who buys a puppy of Lagotto Romagnolo to know the dogs in the pedigree. Although the breed is relatively young. What we can ask to those who buy a Lagotto Romagnolo puppy , or even of another breed is to always claim the pedigree and at the same time to look forward. The quality of a puppy is in all the virtuous actions of the breeder to get to that puppy. The farms, or rather the breeders determine the quality of a puppy. The selected playback, for example, is defined as an official recognition to the quality control for the greatest warranties and information. A puppy is of quality if it has complete information about health, character and morphology. The breeder was serious in assessing and making known these aspects. We will also find dogs specialized in various disciplines. There are Lagotto Romagnolo frequent frequenters of exhibitions or work tests. Everyone stands out in what they most like or think best suited to their lagotto. 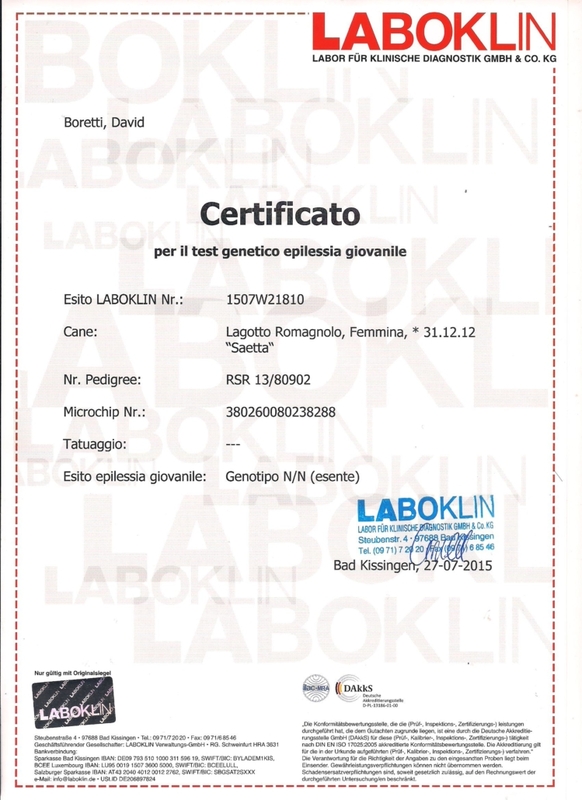 Without prejudice to the minimum requirements, genetic tests and X-rays to parents and socialization of the litter. We made these concepts our own, like some other breedings. Litters with health requirements. 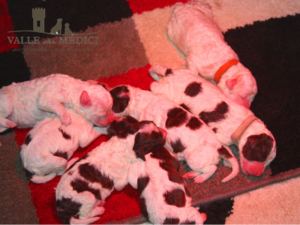 Puppies of Lagotto Romagnolo from parents tested for the pathologies of the breed and radiographed for the Dysplasias. 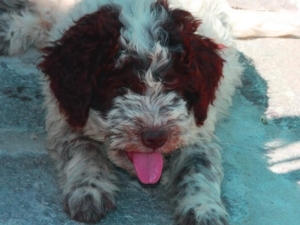 Puppies of Lagotto Romagnolo socialized, children of known parents who live in the family. Pedigree and/or the judgement of expert judges attesting to attitudes and morphology. The Lagotto Romagnolo is a relatively young breed. Its diffusion is still very much linked to the hunter of truffles. Luckily the crossbar is getting up. This process of growth is helped from the Lagotto Romagnolo is getting known and appreciated as a pet dog. The quality of the demands is growing too. Consequently the quality of the breeding grows. The request is no longer just for an excellent truffle dog, and that’s all. But for a dog suitable for family and children, healthy and possibly beautiful. A quality Lagotto Romagnolo puppy, even if it sounds bad. Welcome a puppy of Lagotto. When is the best time? 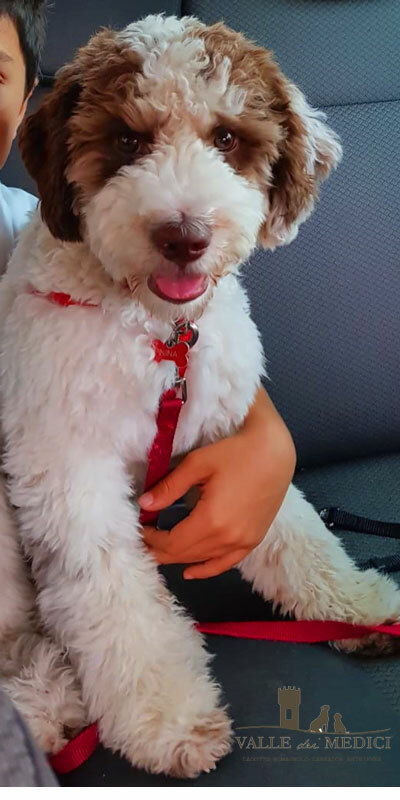 Lagotto Romagnolo Pet: Male or female puppy?